Balance is good. It offers stability in a lifestyle, it keeps you standing on a surfboard, it keeps things in correct proportions. For those spending annual leave away on tropical islands, balance is integral. The tourism industry adores those islands that have managed to hold onto that pristine and authentic island feel without washing away local culture with high-rise modern developments. Too much development, and the island swings into a pseudo-Disneyland. Too little, and the island becomes almost inaccessible. Diving, it’s a people’s sport; it’s where lifelong buddies are made and “Gmail” pen pals are discovered. A recent trip with the UW360 team saw four of our team members pursue their Open Water for the first time. To start with they were anxious, but the calming words and professionalism of their instructor settled them down. They were taking their Open Water with Big Blue Diving, one of the longest-established dive centres on Koh Tao, and one of the most respected dive operators in the world. A modern styled two-storey building with a restaurant that rolls out onto Sairee Beach, Big Blue Diving is charming in its presentation. Its front-of-house, facing the beach, is filled with benches and sun loungers that are often chockablock with dive instructors giving dive briefs, and friends catching up after their time below the waves. It’s a place designed to bring divers together, and this is encapsulated in the affable smiles of the people who work there, and mirrored by those who are just passing through. 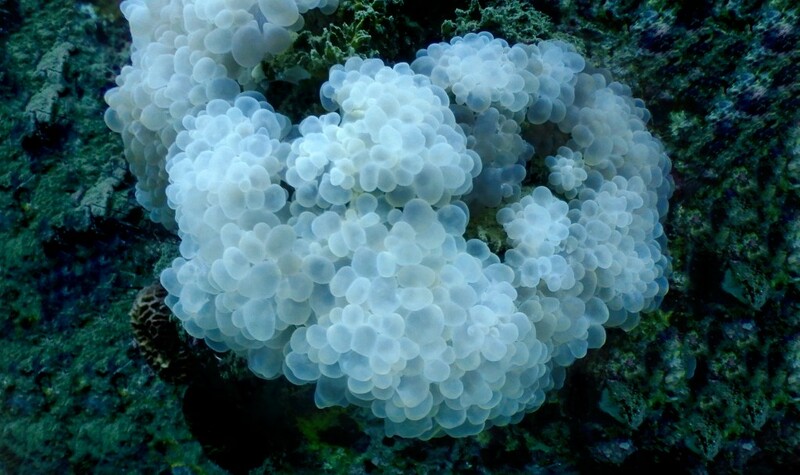 The divemasters are patient, and happy to talk about more than just diving. Some explain their story to here, others their future plans. 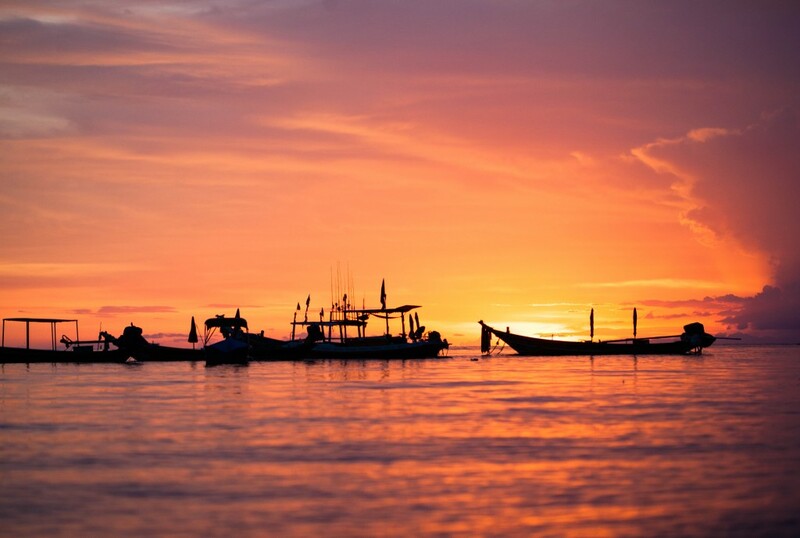 It’s the laid-back atmosphere of the people that goes hand-in-hand with the topography of the island, and it’s one of our six reasons why Koh Tao is the place to get certified. Comfortable depths and manageable currents for new divers make Koh Tao one of the best places in the world to get certified. There are various sites to test your skills and experience, from the small caves and swim-throughs of Green Rock, to coming up-close to the large pelagics and schools of Chumphon Pinnacle. All these are accessible for Open Water divers, and ideal for those looking to build on their dive skills and take their Advanced. We were given a sub-aqua tour of Koh Tao’s surrounding waters. Although it was off dive season, we still encountered a variety of life – colourful hard and soft corals, oversized titan triggerfish and schools of fusiliers, all inhabiting the vast underwater landscape. Most of the reefs operate around gigantic pinnacles which stick out of the ocean like dorsal fins, to which one of Koh Tao’s top dive sites, “Shark Rock”, was given its name. It’s a variety of diving to suit all, all season. From budget bunk beds to king-sized rooms that could house a whale shark, Koh Tao offers its guests variety. Those looking for simple accommodation can bunk in shared rooms that feature on the beachfront, whilst those who look for a little privacy have the option to sleep like kings in air-conditioned rooms. We opted for the latter. 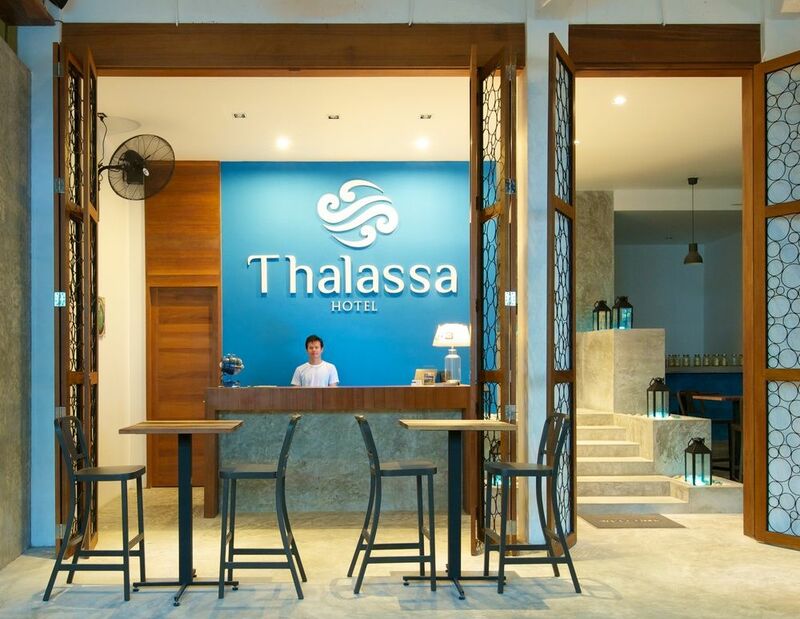 Thalassa Hotel, a brand new hotel located on the most popular street in Koh Tao, offers luxury rooms at rates that won’t break the bank. These luxury rooms would be at sky-high prices if they were in any major city – but on Koh Tao, it appears everywhere is affordable. From the hotel to Sairee Beach it was a short walk, and to the local bars it was even shorter. The lobby was a great place to meet up both before and after our dives, and with breakfast included it worked hand-in-hand with our diving schedule. For those who are seeking a little added comfort after their dive, with hot showers, air-conditioning and good food, Koh Tao has an abundance of hotels that can offer such a service. A good dive often needs to be celebrated, and completing an Open Water course needs to be remembered. Whether that’s over a cold drink, with hot food or teased out during a massage – we’re all different. Koh Tao’s laid-back night scene is vibrant, but never crammed. With so many tourists visiting the island, one would expect the narrow roads lined with mopeds to be packed, but the variety of entertainment means that people disperse. Those who need to watch sport visit Chopper’s Bar & Grill, those who need to unwind visit one of the many massage parlours and those who are hungry set out into the night to pick a restaurant. Our first night was spent under warm lighting and the beach breeze, with a view of the sun sinking behind the ocean. Blue Water hosted us, and we enjoyed various platters and cuisines – curated by their innovative chef – to the sound of an acoustic guitar and rolling waves. It’s the ideal place to wine and dine after a long day, and even better for those looking to “turn up the romance” with their partner. A short visit became an evening spent watching the waves and discussing diving stories – it was the ideal warm down from a day spent in the water. 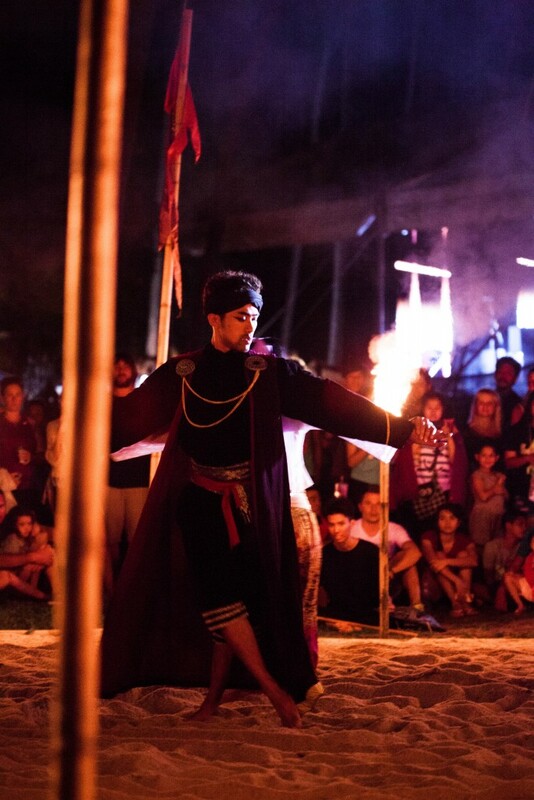 The following night was the famous “Save Koh Tao Festival”, which showcased traditional dances, songs and the very best of local food. A huge event took place under golden light and sparked a strong message towards conservation. With recycled bottles used to build miniature sculptures and bags turned into statues, the festival painted a picture of the stance that Koh Tao is taking on preserving its island. Scuba babies love to jump into the world of diving. Dive T-shirts, masks and fins are often top of the wish list. To quench this desire to let the world know that you are now a certified diver, Koh Tao is lined with respected dive shops that offer everything you’ll ever need for diving. Fronting the shops you’ll find easygoing assistants who are honest about their products, happy to advise on what to get. Shops such as Hydro Sapiens and the Big Blue Diving store offer cutting-edge gear at good rates. If you’re looking for advice on what to get, seek out help from the staff. All are divers who know what you need, who understand your concerns. This friendly environment makes dive shopping enjoyable, and adds to that experience of becoming an Open Water diver. For those looking to take a day off, Koh Tao offers a smorgasbord of activities that make it more than just a “diving” island. From Muay Thai to yoga, there is something for everybody. A developing road system and easy scooter rental make getting around easy. Within reach are fantastic hidden beaches and hiking trails that lead to high lookout points, along with extreme sports and traditional practices. 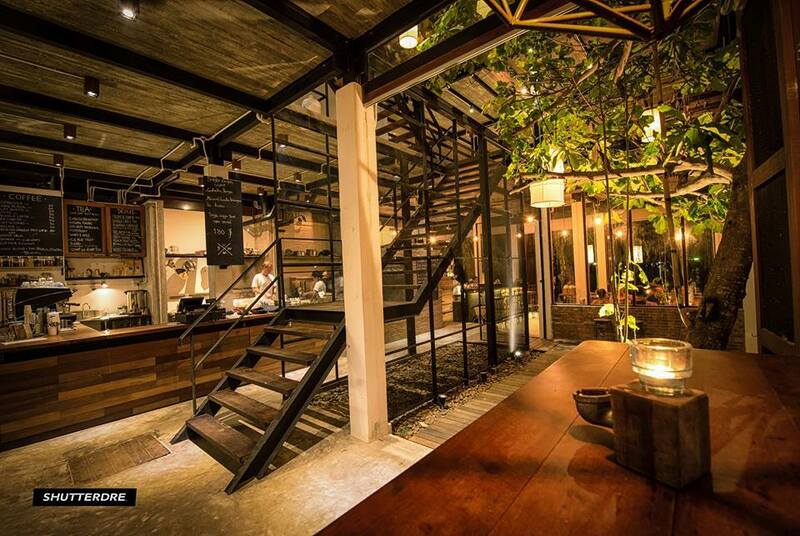 With all this on offer, Koh Tao stands as more than just an island for divers. But with its tame waters, subtle developments and variety of activities, it is an ideal location to get certified. Somehow they’ve managed to find the perfect balance between growing tourism, and holding onto local culture. With traditional festivals running side-by-side with Western bars, yoga alongside mini golf – it’s a perfect example of cultural symbiosis.